Incorporated in 1903, Buick automotive is the oldest American car brand that is still currently active. Buick has long been a trusted name in the automobile industry; however it has also been synonymous with drivers of the older generation. But Buick has been campaigning to change that. Whether it is having future Hall of Fame quarterback Peyton Manning in their commercials, or making cars that are becoming known for speed and power, Buick is aiming at the younger generation to be their next generation of car buyers. When David Dunbar Buick began his company it was actually as the Buick Auto-Vim and Power Company. At that time he was manufacturing internal combustion engines and motor cars. Although the early years saw growth and development, it was the Post-World War II era that saw some significant changes. 1953- 50th Anniversary and the introduction into V8. 1957- 364 cu. in. engine block and Ball joint and front suspension. 1970- GSX high performance option package first offered. After dropping Tiger Woods as their spokesmen, Buick’s average consumer’s age was 65. During and prior to having Tiger Woods as their spokesmen, the average age of a Buick owner was 72. 22 inch wheels, lowered suspension, and tinted windows on a GM party Lucerne. Using celebrities like Peyton Manning, Vivica Fox, Jay-Z. More powerful, streamlined designs with 250hp turbocharged engines, Buick Intellilink, and fuel mileage up to 36 mpg in some vehicles. Is Buick Staying on the Road? The average age of Buick owners dropped from 62 to 59. The average Regal GS owner is now 43. 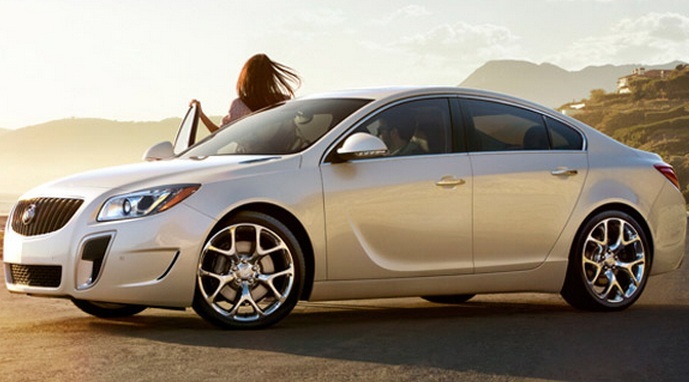 In 2011 Buick’s sales were up 14.3% overall. How You Can Join the Journey? Connect with Klick Lewis Cars for a test drive. Go on Buick’s website and check out the new models. Look up the new commercials on Youtube and see the updated technology and youthful designs. Buick is certainly holding strong to their history as the oldest automobile manufacturer in America. But it is also clear that their willingness to grow as a company, be attentive to the consumers’ demands, and adapt with the changing times is what will keep then strong as they move forward.